Is real estate too expensive in Luxembourg? Six Europeans out of ten think that real estate is expensive in their countries. In Luxembourg, 89% of the residents think that property is expensive and 78% think that it will continue to grow in the 12 coming months1. Is this difference in perception with our neighbours actually grounded? Throughout the last decade, it is clear that there has been a surge in real estate prices. Since 2009, the Observatoire de l’Habitat registered a 39% increase in the country, representing an average of 4.8% a year ! 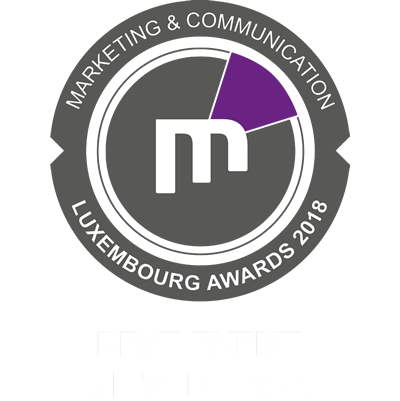 The increase is even more remarkable in the city of Luxembourg where prices grew by 6.8% per year, further increasing the price gap between the capital and the rest of the country. At 6,416€ per square metre, prices in Luxembourg city are well below other capitals or economic centres in Europe. An even more distinctive aspect of this evolution is that the prices are relatively unaffected by international crises. Unlike most countries, the financial crisis of 2008 had a limited impact on the country’s real estate market. Admittedly, prices did drop by 2,5% between 2008 and 2009, but picked up 5% the following year – a strong growth rate that has been steady ever since. Economic reasons. The growth domestic product (GDP) in Luxembourg has been strongly increasing, supported by a healthy growth of the private sector. While the Eurozone GDP registered a 6% increase since 2006, Luxembourg shot up by 17%. This economic health, coupled with the highest median household income in the world2, has boosted the local purchasing power. Logically, property prices have inflated in consequence. Demographic reasons. Thanks to the attractiveness of the economy, the country’s population increased by 12% since 2010. With a current population of 591,000, Luxembourg should reach 678,000 inhabitants by 20303. With such a strong influx, there is an annual deficit of minimum 2,500 living units. With the demand being higher than the current offer, there is an increasing tension on the market. Fiscal reasons. Contrary to neighbouring countries for example, property tax is extremely low and housing tax is inexistent. These elements make the cost of holding property very low, which increases acquisition prices organically. As an example, a cross-border worker in Thionville will pay more than 3,000€ in local taxes per year, whereas in Luxembourg he would only pay 150€. Even with heavily increased prices, can we really affirm that prices are too high in Luxembourg? At 6,416€ per square metre, prices in Luxembourg city are well below other capitals or economic centres in Europe. The average selling price per square metre is 8,340€ in Paris, 8,861€ in Geneva, and often well over 10,000€ in London4. Furthermore, several measures were put in place by the state of Luxembourg to help facilitate the access to property. Among these is the Bëllegen Akt, a tax credit of 20,000€ per person (40,000€ for a couple) that is deductible from stamp duty, a considerable financial benefit for first-time buyers. After acquisition costs, the same 500,000€ property would therefore only cost you 501,750€ in Luxembourg, whereas it would amount to 536,000€ in Paris and around 545,000€ in Brussels5. (…) if a weakening of the market is always possible, it remains very unlikely (…). In this regard, although it is legitimate to claim that the price surge has made property access harder for an increasing number of households, it is wrong to state that it is too expensive in comparison to other comparable urban areas in neighbouring countries. 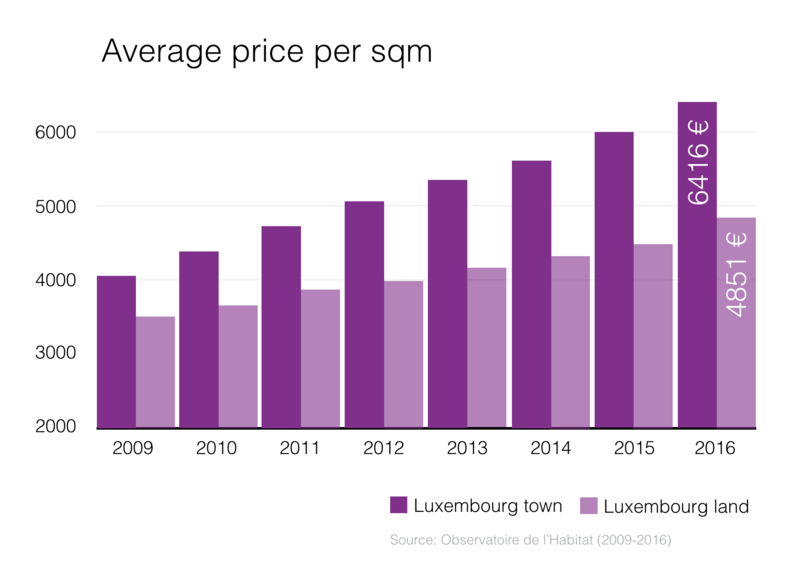 With strong increases in housing price, it is fair to question the stability of the Luxembourgish market. Considering what we analysed, if a weakening of the market is always possible, it remains very unlikely as it is supported by economic, demographic and fiscal elements. With prices that are lower in comparison to other capitals, we can also legitimately consider that a margin of progress remains. The last publication of BIL|IMMOindex takes full measure of the current residential real estate dynamic. Some reassuring news for homeowners and investors alike.